GARDA CLASSIC RED “CA’ GRANDA” D.O.C. It is the highlight of our production. 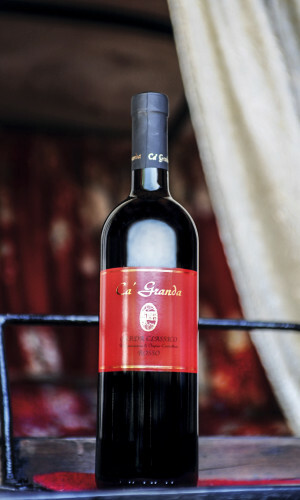 Wine produced from grapes on special mats and subsequently crushed.Full-bodied with intense aromas and distinctive blends well with red meats, cheeses and dishes decided.Production is limited and each bottle is numbered. Production area: The morainic hills of the west coast of Lake Garda. The climate is temperate, with mild winters and warm summers that give the wine the typical salty perfume and flavour, that are a main characteristic of the area around Lake Garda. It is situated 150/200 m. above sea level. GARDA CLASSIC RED CINQUE STELLE D.O.C. Red fresh, intense aroma very distinctive, with a soft round and fruity. His immediate personality makes it a wine suitable for all palates and easy food matching. Rosso Cinque Stelle D.o.c. 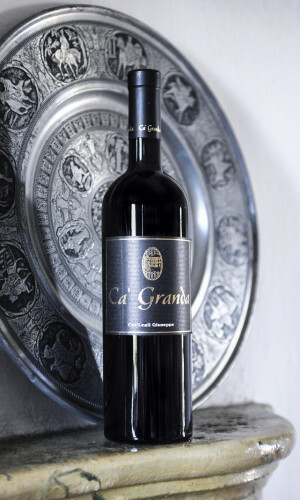 is a Fattoria Ca’ Granda reserve produced in limited quantity to grant its uttermost quality. The Marzemino grapes vinification is carried out under a constant and careful control of temperature, fermentation, and every processing phase that follows. The result is a full and round wine, with good complexity reminiscent of spicy and smoked hints, a wine you will never get tired of! It is excellent with broiled read meat, recommended with strong cheese and the typical Spiedo of Brescia. The sense of satisfaction of this wine in your mouth is outstanding. Try it !! Wine with bright red color, delicately fruity bouquet, dry and fruity in the mouth. Well structured but friendly, fit to accompany main dishes with red meat. This is the “Great wine” of the Tenesi valley; it is obtained from the most typical grapes varieties of this area. Garda Classico Groppello D.o.c. is a delicate, fresh red wine, suitable for tasty first dishes, broiled meat and mid-matured cheese. 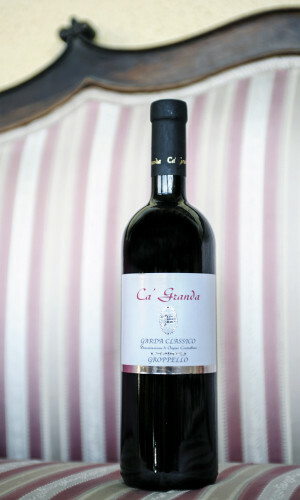 This wine is made from the grapes belonging to the “Gentile” (gentle) variety, grown on the Lake Garda hills. Thanks to the mild climate and the natural morainic soil of this region, the wine retains the right salinity and sapidity, typical of the soils that are rich in minerals. 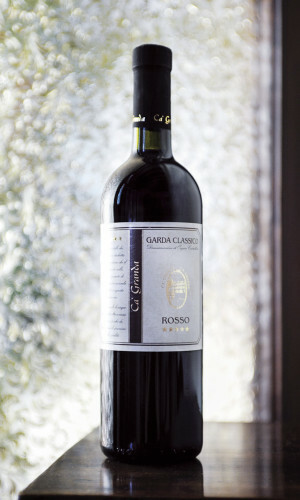 The deep red color goes well with a color still fresh and lively taste and a dry and harmonious. It lets you easily recognize as one of the most red wines typical of the area to be matched with a wide variety of dishes. This wine is produced using a joined vinification of local varieties (Groppello, Marzemino, Barbera and Sangiovese) that give the wine its unmistakable fratures typical of the valuable grapes of this region. It is a wine of excellent structure, that can be a good match with light and simple dishes when still young. When it is aged, it is excellent with red meat and game, and throughout all national and international dishes.